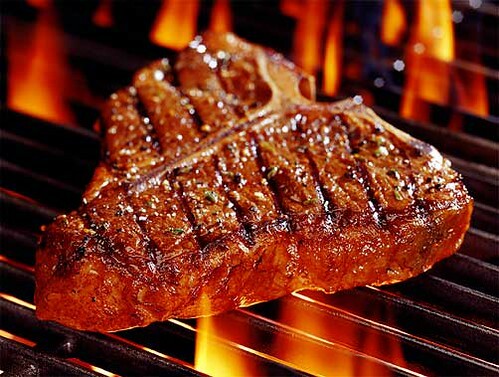 You know around here we just LOVE a good steak. Well, I just read an easy method by The Steamy Kitchen blog that shows us how to make any cheap ol steak better by just adding salt (kosher or sea)! Basically the gist is to cover your steak completely with salt for 15 minutes to an hour….rinse and pat dry, then grill. Her post includes an Alton Brown-esque explanation on how it all works and how the steak WON’T taste all of salt. She even ends with a recipe for grilled steak with garlic herb butter that sounds divine. Looks like I’ll be kicking boyrobot out of the kitchen for our next steak!